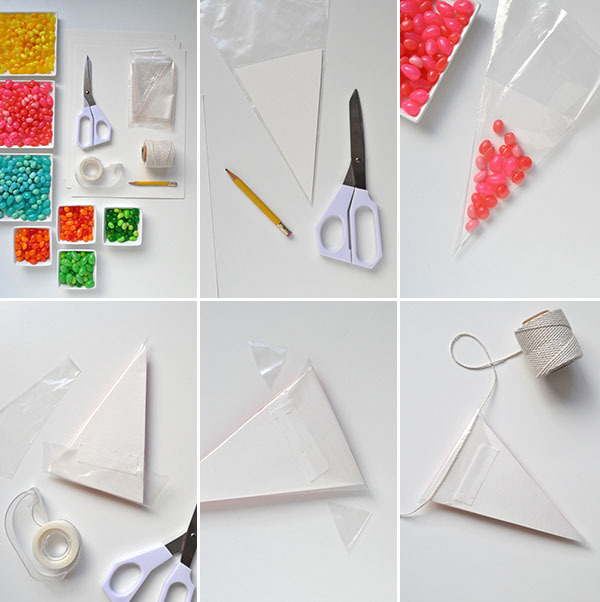 Step 1: Trace the piping bag onto the white card and cut out as many triangles as desired. 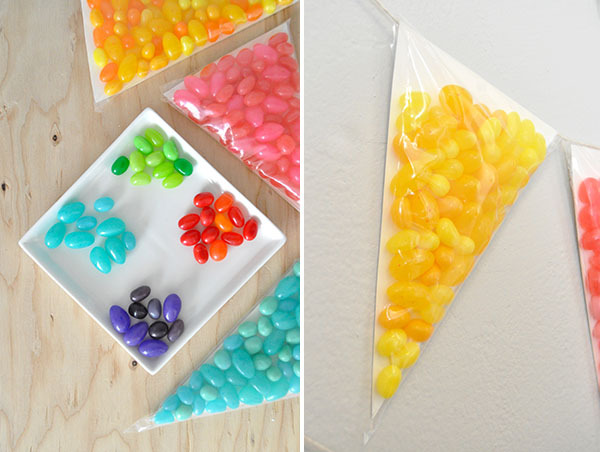 Step 2: Put the paper triangle in the bag and fill with jelly beans. Step 3: Cut off excess plastic, leaving about 1″ past the top of the paper triangle. Tape the plastic down firmly. Step 4: Cut off the side bits of plastic that overhang. Step 5: String the assembled bags onto your string. Be careful not to overload the string – the bags can get quite heavy. If you want lots of triangles on each string, making smaller triangles is a good idea. The triangles pictured are about 6″ from tip to base. I want to wear this as a necklace! 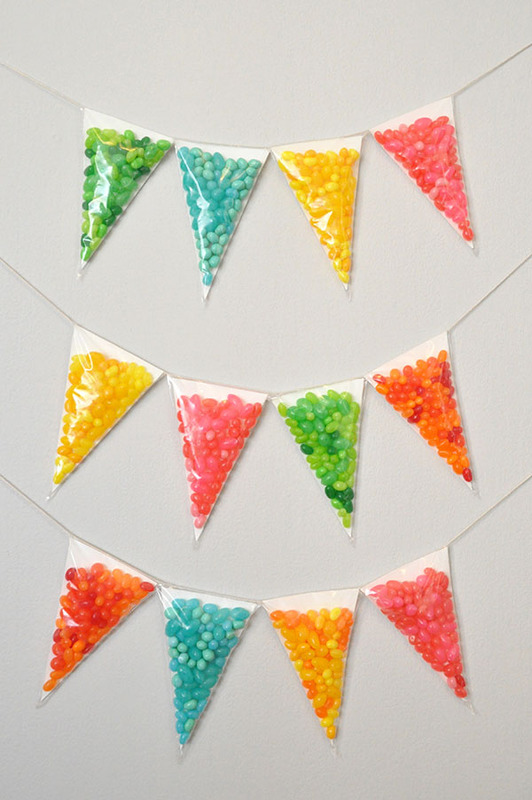 It’s like a modern version of the candy garlands worn during fiestas in Mexico. Talk about making new friends in a flash! Lol. What a super cool idea. Totally pinning this for later. Thanks for the idea! This makes for a happy day indeed!! This makes me happy in my heart. 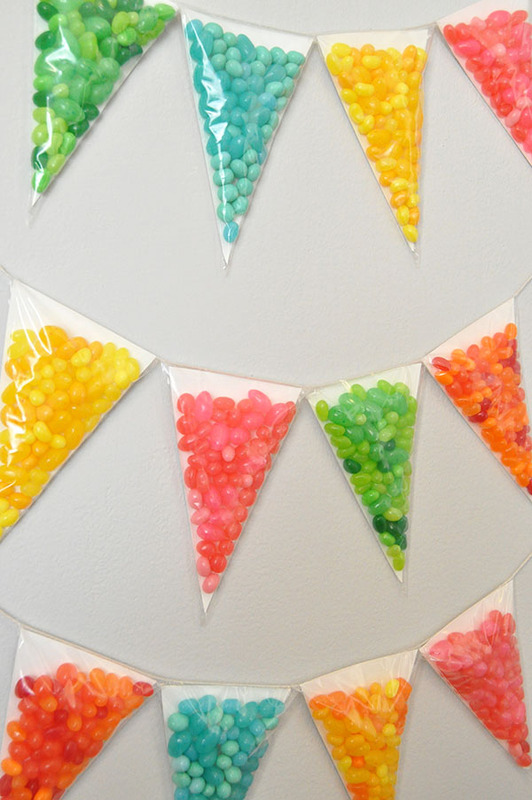 I love jelly beans and Oh Happy Day. Your projects Rock! Thanks! Kathleen did an awesome job! This is genius! Such a fun idea, and it looks pretty too! This is so happy, and perfect for Spring! Thanks for the idea. I love this idea. 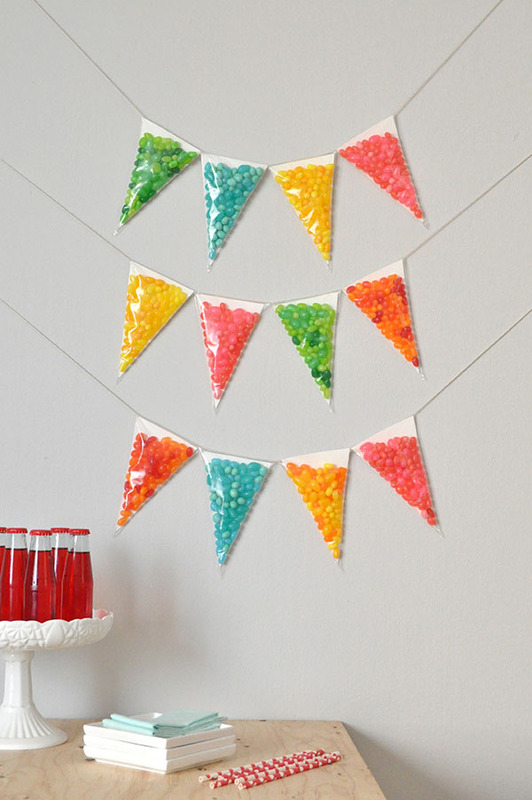 What a fun way to add a punch of colour to a celebration.